14.2 Any disputes relating to these terms and conditions shall be subject to the exclusive / non-exclusive jurisdiction of the courts of England. 15.1 This website is owned and operated by Evenley Wood Garden. 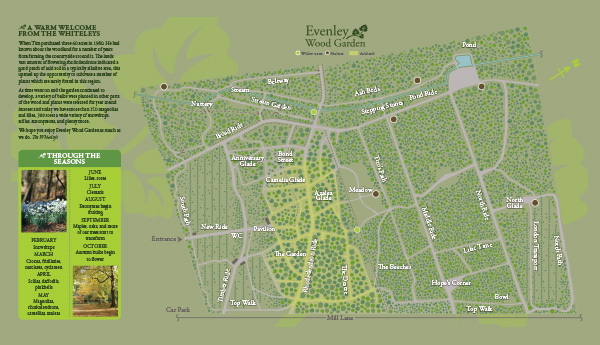 15.2 Our principal place of business is at Evenley Wood Garden, Evenley, Northamptonshire NN13 5SH. 15.3 You can contact us by writing to the business address given above, by email or by telephone.